As we saw in Module 1, concern about air quality in the UK is not new. As far back as the thirteenth century, there were attempts to restrict the use of coal in London because of the poisonous smoke it produced. Polluted air was a growing problem in cities throughout the following centuries, made worse by the rapid industrialisation of Britain. Various measures were taken to try and improve air quality but it was the famous 1952 ‘Great Smog of London’ that alerted people to the deadly nature of air pollution and the need for the government to act. It led to the first Clean Air Acts in the UK. The following chart shows, in chronological order, the legislative attempts made over the centuries to combat air pollution in the UK. 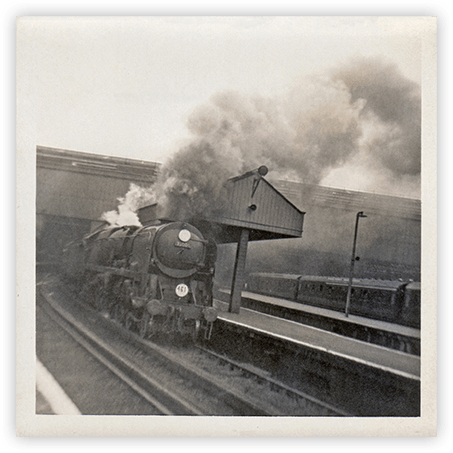 1845 The Railway Clauses Consolidated Act required railway engines to ‘consume’ their own smoke. 1956 The first Clean Air Act introduced Smoke Control Areas, regulated chimney heights and prohibited emission of dark smoke from chimneys, with some exceptions. In 1973, Britain joined the European Union (previously known as the European Economic Community). Since then, EU legislation has controlled the amount of air pollution being emitted by member states. More recently, the focus of the legislation has shifted from the pollution problems caused by industry to the ones associated with motor vehicle emissions. Here are some of the main EU Directives on air quality. Introduced measures to be taken against emissions from diesel engines in motor vehicles. Limited black smoke emissions from heavy-duty vehicles. Concerned the lead content of petrol. Limited the maximum permissible lead content of petrol to 0.4gl-1. Introduced to control the transboundary effects of acid rain and to limit emission of acidifying pollutants. Established air quality limit values and guide values for sulphur dioxide and suspended particles. Limited emissions of SO2 and NOx and particulates from power stations and other large combustion plants. This provided a new statutory framework for controlling levels of sulphur dioxide, nitrogen dioxide, particulate matter, lead and ozone, benzene, carbon monoxide, and other hydrocarbons. 2008 The Ambient Air Quality EU Directive set legally binding limits for concentrations in outdoor air of major air pollutants that impact on public health such as particulate matter (PM10 and PM2.5) and nitrogen dioxide (NO2). The 2008 directive replaced nearly all the previous EU air quality legislation. In response to the above European legislation, the UK Government passed 2 key laws concerning air quality: the 1995 Environment Act and the 2010 Air Quality Standards Regulations. The 1995 Environment Act – put an obligation on the government to produce an air quality strategy. It requires local authorities in the UK to review air quality in their area and select air quality management areas where improvements are necessary. Local authorities must then produce an air quality action plan describing the pollution reduction measures to be taken. These measures must then be put in place. The 2010 Air Quality Standards Regulations – put the 2008 EU air quality legislation into UK law. Equivalent regulations exist in Scotland, Wales and Northern Ireland. It sets legally binding limits for concentrations of major air pollutants that impact on public health, such as particulate matter (PM10 and PM2.5) and nitrogen dioxide (NO2). (2) As well as having harmful effects, these pollutants can combine in the atmosphere to form ozone, a damaging air pollutant (and potent greenhouse gas) which can be transported great distances by weather systems. The following table gives a summary of the national target limits for the major air pollutants. If any country in the EU breaches the limits set out in the legislation, they can face huge fines from the European Commission. Every year since the 2010 Air Quality Standards Regulations became law, the UK has broken those air pollution limits. Levels of nitrogen dioxide, emitted mostly by diesel vehicles, have been above legal limits in almost 90% of urban areas in the UK. In 2011, the campaign organisation, ClientEarth took the Government to court over the illegal levels of NO2 in the UK. After 5 years of court cases and appeals, the Supreme Court made a final judgement in Client Earth’s favour and in 2015 ordered the Government to develop plans to reduce the level of NO2 in the UK. Watch the following news report about the case. Despite this ruling, the Government still failed to deliver on its promise to draw up a strategy for dealing with the breaches of NO2 pollution levels. Here is a report of the situation a year after the ruling as campaigners once again took to the streets and to the courts to press the Government to act. The Government has further attempted to delay publishing its plans by claiming it needed to wait till after the June 2017 General Election. Ministers had applied to the court to keep their plans secret, saying it was necessary to “comply with pre-election propriety rules”. Finally, on May 5th 2017, after losing in court once again, the government published its air quality strategy consultation. It proposes getting air pollution down by cutting speeds on certain motorways; introducing a scheme to retrofit the most polluting vehicles and expanding the UK’s clean air zones by giving the responsibility to local authorities to take action to get emissions down. Scientific studies show high exposure to polluted air at a young age can cause chronic health problems that last a lifetime. The problem is so acute that it is now considered a matter of human rights. “There is an urgent need for political will by the UK government to make timely, measurable and meaningful interventions”. There is now growing concern about the impact of Brexit on environmental protections and the UK air pollution crisis. EU regulations, some of which have been outlined at the beginning of this module, have strengthened people’s right to protection from various sources of pollution and contamination in the UK. If the UK leaves the European Union, those protections will no longer apply unless they are embedded into UK law. These concerns were highlighted by Baskat Tuncak in his UN report. 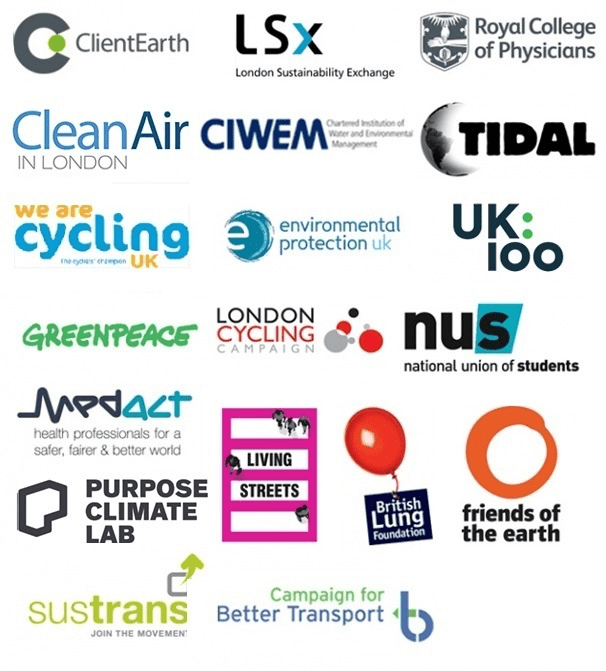 With existing legal protections in danger of disappearing as a consequence of Brexit and the Government’s continued reluctance to take effective action to deal with the country’s toxic and illegal levels of air pollution, a new coalition has been launched to campaign for a Clean Air Act. ensure the UK becomes a world leader in the new technologies and industries that will help us clean up our air. There an evaluation form at the end of the course but please give your initial opinion on this module by clicking either the Vote Up or the Vote Down button below.